Courtesy of United Real Estate Solutions. Immaculate, Low Maintenance, Pristine, this home has it all. 4-bedroom 2.5 bath custom built home in gorgeous Covered Bridge Villas. Bull-nose cornered walls, archway room entries, designer trim and crown work surround every inch of this home. Master on main w built in cabinet surrounding a jetted tub, walk in shower and walk in closet w built-ins. Formal dining room w columns, office/study w French doors, Majestic family room w floor to ceiling stone fireplace centers custom built-ins. Kitchen offers high end granite, gas stove, lg island w cabinets, SS appliances, designer cabinets and pantry. Upper level offers 2nd and 3rd bedrooms, full bath and large bonus w lots of storage, including floored walk in off bonus. Refrigerator, Washer, Dryer, and TV in family room will convey. 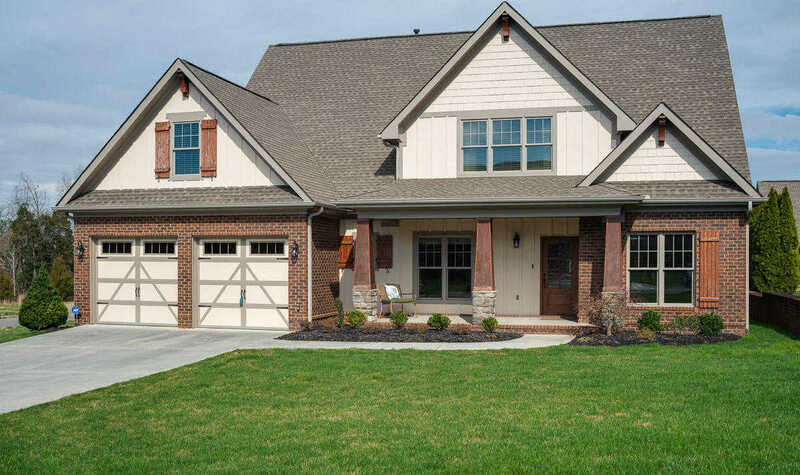 Please, send me more information on this property: MLS# 1071572 – $499,900 – 2381 Misty Mountain Circle, Knoxville, TN 37932. I would like to schedule a private showing for this property: MLS# 1071572 – $499,900 – 2381 Misty Mountain Circle, Knoxville, TN 37932.